This Certified Pool Operator (CPO) course teaches individuals the basic knowledge and skills needed for pool and spa operations. A number of states currently require CPO certification for all pool operators, and many more are considering adding the requirement. 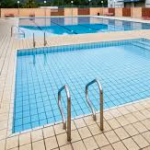 Even in states where the requirement does not exist, CPO certification enables the pool operator to manage pools more safely, efficiently, and cost-effectively. The course typically takes two consecutive days to complete, and a certification test administered at the conclusion of the course. This course will cover public bathing codes, water chemistry, filtration and circulation, seasonal pool care, pool management strategies and requirements, energy management, calculations and testing pool water and making adjustments, maintenance and operational problems, renovating and modernization of pool facilities, and disease and accident prevention. Upon successful completion of this comprehensive course and exam, the participant will be CPO certified in all 50 states, Puerto Rico, Canada, and the U.S. Virgin Islands for a period of five years. Below are the most recent student reviews for previous Certified Pool Operator (CPO) Courses. I was very pleased with the instructor and the wealth of information I have learned. Thank you! I was very pleased with the instructor and the wealth of information I have learned. Thank you! I’ve been to a lot of classes and courses. It is evident that my instructor cares about the students, loves what he does,... I’ve been to a lot of classes and courses. It is evident that my instructor cares about the students, loves what he does, and is extremely knowledgeable in pools. I first took my CPO 5 years ago. I learned more in two days with this instructor than the previous CPO courses I took in the last five years combined. The course was fantastic. The instructor did an excellent job of teaching the materials along with bringing in "real-life"... The course was fantastic. The instructor did an excellent job of teaching the materials along with bringing in "real-life" examples of things out in the field today. Would recommend this course to anyone that works in the Pool Industry (Parks and Recreation, Summer Camps, Municipals, Etc.). Class was very informative. The instructor kept the class engaged. Would definitely recommend this class. Class was very informative. The instructor kept the class engaged. Would definitely recommend this class. Class was excellent and very informative. Class was excellent and very informative. Unbelievable class. It well organized and probably the best instructor I have ever seen! Unbelievable class. It well organized and probably the best instructor I have ever seen! The instructor's years of experience helped make the material very easy to digest and understand. He did a great job reviewing... The instructor's years of experience helped make the material very easy to digest and understand. He did a great job reviewing the materials and making sure we were prepared not only for the test but to put the information into practice. The instructor demonstrated a lot of knowledge and experience. He kept me awake and active following instructions. This training... The instructor demonstrated a lot of knowledge and experience. He kept me awake and active following instructions. This training was the best I've ever had. Thank you! Great information that will actually help us! I can’t wait to take the CPB course now! Great information that will actually help us! I can’t wait to take the CPB course now! Great class with an even better instructor. Great class with an even better instructor. Incredible and patient instructor. Incredible and patient instructor. Very good class. I learned everything I needed to pass the test and further my career. Very good class. I learned everything I needed to pass the test and further my career. Great class! Very detailed and knowledgeable. Great class! Very detailed and knowledgeable. The instructor was great. Very informative, patient and I would love to take another course with him. The instructor was great. Very informative, patient and I would love to take another course with him. Excellent instructor and training course which did add more valuable information to our knowledge. Excellent instructor and training course which did add more valuable information to our knowledge. Instructor was very knowledgeable and did a great job of holding the attention of the class. Instructor was very knowledgeable and did a great job of holding the attention of the class. Very nice teaching and excellent learning. The instructor went slowly and nicely. Thank you so much! Very nice teaching and excellent learning. The instructor went slowly and nicely. Thank you so much! The instructor did a great job teaching and said if we had any problem to call him. The instructor did a great job teaching and said if we had any problem to call him. David is very knowledgeable about the information in this course. He is a great teacher and able to convey the topics in... David is very knowledgeable about the information in this course. He is a great teacher and able to convey the topics in a way that seems to make learning easy and fun! He is also very patient and willing to take the time to explain things as needed and answer all questions. I highly recommend his class! Ed was a very thorough and knowledgeable instructor. He taught at a wonderful pace using applicable skills and calculations.... Ed was a very thorough and knowledgeable instructor. He taught at a wonderful pace using applicable skills and calculations. His extensive pool operating background is obvious, but myself being a teacher was very impressed with his professional teaching abilities. What a wonderful experience it was for me and I feel confident in my own abilities because of Ed. Thanks! Outstanding learning experience. Mr. Turnage was extremely knowledgeable, helpful and enthusiastic in all subjects taught.... Outstanding learning experience. Mr. Turnage was extremely knowledgeable, helpful and enthusiastic in all subjects taught. I will recommend his classes to anyone who is considering Pool School. Good experience. The instructor takes time to make sure you understand information. Makes class fun too. Make sure you come... Good experience. The instructor takes time to make sure you understand information. Makes class fun too. Make sure you come with your pen, paper, and calculator ready to absorb the wealth of knowledge he is willing to provide. EGM Pool Management (Eddy) is the greatest teacher ever and makes class fun. Whether you are bad at math or haven't been... EGM Pool Management (Eddy) is the greatest teacher ever and makes class fun. Whether you are bad at math or haven't been in a pool before Eddy's teaching methods are so talented he will help any level of intelligence understand. There is no other class or instructor you should take. He will go above and beyond by helping you out of class or on phone. Great teacher! A lot of knowledge, very fun class! Thanks! Great teacher! A lot of knowledge, very fun class! Thanks! Good course and good instructor. Instructor relates well to students. He was very informative and helpful. Good course and good instructor. Instructor relates well to students. He was very informative and helpful. Edwin, was the best instructor that I have ever encountered. His passion for teaching translates to his success rate of... Edwin, was the best instructor that I have ever encountered. His passion for teaching translates to his success rate of students passing. Excellent, very interesting and well done. The instructor has a very good way to teach. Excellent, very interesting and well done. The instructor has a very good way to teach. Great! Edwin was extremely knowledgeable and kept it interesting the entire time. Great! Edwin was extremely knowledgeable and kept it interesting the entire time. Our Instructor's industry knowledge/experience was top notch. He did a great job teaching the material and preparing me... Our Instructor's industry knowledge/experience was top notch. He did a great job teaching the material and preparing me for the certification exam. This was my best experience with receiving my CPO with Ed. Everything was broken down and explained clearly. I will be calling... This was my best experience with receiving my CPO with Ed. Everything was broken down and explained clearly. I will be calling to recertify my certificate in 5 years when they expire .. great work!! I’m feeling lucky to have even met Ed. He was very knowledgeable with pools all around the board!! Thanks! Learned a lot, instructor was knowledgeable and easy to follow. Learned a lot, instructor was knowledgeable and easy to follow. Covered the material in an easy to understand manner. Covered the material in an easy to understand manner. Eddie was a great instructor, made me feel comfortable with a lot of new information. Eddie was a great instructor, made me feel comfortable with a lot of new information. Austin did his best to make sure we knew what we needed to know. Austin did his best to make sure we knew what we needed to know. Everything was good. Everything was good. Very passionate and great facilitator! Very passionate and great facilitator! Absolutely the most focused, interesting and interested instructor I have had in years. David Turnage made daily pool operations... Absolutely the most focused, interesting and interested instructor I have had in years. David Turnage made daily pool operations fun and profitable. His extensive experience and knowledge was evident, but never seemed self serving or over the top. He did a great job for sure. Highly recommended. Course was very informative and the instructor was great. Course was very informative and the instructor was great. The workshop was great lots of info. The instructor did a terrific job. Very knowledgeable gentleman! The workshop was great lots of info. The instructor did a terrific job. Very knowledgeable gentleman! Mr. Turnage was excellent. He was informative, patient, and added humor to the event. He clearly cares about his trainees... Mr. Turnage was excellent. He was informative, patient, and added humor to the event. He clearly cares about his trainees and makes himself available for personal questions.